There is so much quality television available these days it can feel a little suffocating, like drowning in a pool filled with well-developed characters and compelling story arcs. 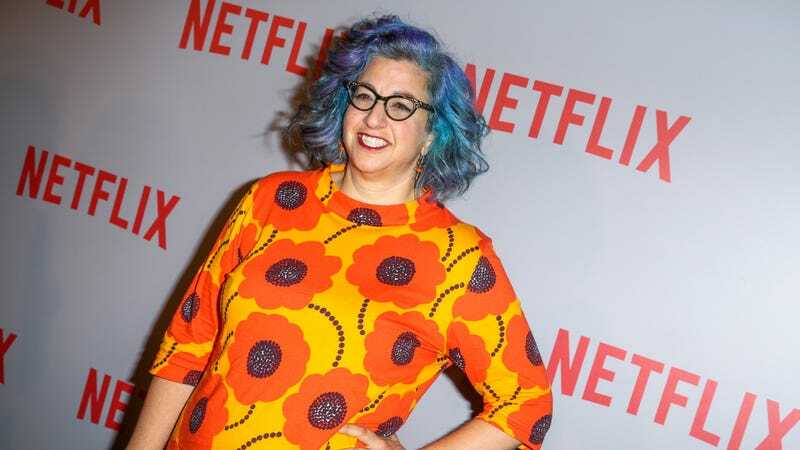 But it seems like the trend will only continue, since showrunning visionary Jenji Kohan has signed a deal with Netflix that will keep her chained to the streaming giant for years to come. Kohan, creator of Orange Is the New Black and executive producer of GLOW, will now be working with Netflix exclusively on forthcoming original series and projects. The news comes not long after the service announced it had secured the services of Shonda Rhimes for an estimated $100 million. “Current climate aside, it’s great to be in bed with Netflix,” Kohan said in a statement. Kohan has racked up four Emmy awards and 19 nominations for OITNB over the course of five seasons. Among her many other projects are American Princess, which will air on Lifetime, and a teen Jesus project for Netflix, which forced the company to purchase “terrorism insurance.” Intriguing.